Firefox running on Windows 7 may have issues with Flash plug-in installers or updates. In those cases you can download and install the Flash Player installation packages available on the Adobe Flash Player Distribution site. Categories: support. Tags: tweaks, web, windows. Firefox can be manually tweaked by typing ‘ about:config’ in the address bar and then modifying the values of the respective fields of the Firefox control panel (i.e. the page that is displayed). However, the easier way is to use FireTune, a freeware tool that helps to fine tune network related settings of Firefox. If that is not enough, then you may consider the Configuration Mania extension to tweak many of the advanced (and hidden) settings. Disable or remove any unused or unnecessary plug-ins, extensions and add-ons. 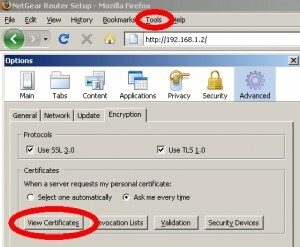 While Firefox can be instaled without (Windows) administration rights, you may encounter problems to install plug-ins. Here is some good advice to install the Flash Player plugin. Categories: support. Tags: tweaks, web. 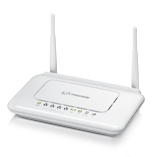 The Home Sation ADSL-ZTE-H108N is a combined ADSL Modem, Router and Wireless Access Point. Works well with Windows 7 clients, iOS, Android and Blackberry. 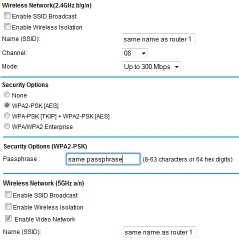 Supports the WPA2 wireless clients authentication and encryption methods. Simple setup menu. Firefox may not work to access the setup menu. Use Internet Explorer instead. Here is a guide to refurbish a Windows XP Laptop system; in other words, re-installing Windows from scratch. In this case, the Laptop was a Toshiba Satellite 1800-514 which has a Celeron 1 GHz processor and 384 Mb RAM (128MB + 256MB) installed and a 15Gb internal hard drive. It is a ‘legacy’ system with limited resources, indeed. However, with some tweaking, it will still perform well for common applications. After customization, the system was able to run iTunes 9, Mozilla Firefox and Microsoft Office 2003 suite. An easy way to perform the backup is to use the ‘Sysback’ tool. 4) Backup or get a copy of specific drivers for video, sound, modem and network support. In particular, keep a copy of the video drivers; download the most up to date copy from the manufacturer’s site (e.g. NVIDIA or ATI), if necessary. 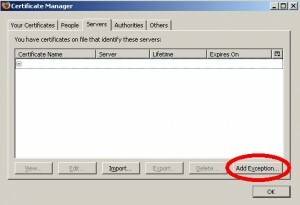 Check if any other specific files or settings have to be saved. 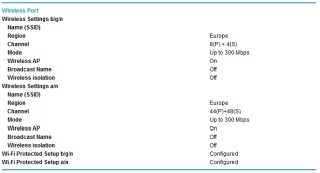 Check the equipment model and version in the Device Manager (Control Panel, System, Hardware). The auto detection of some of the devices may not work for older systems, so write them down. 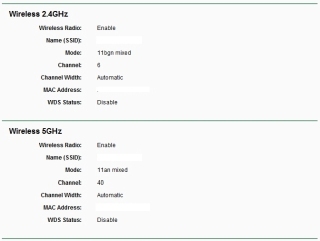 5) Save your Wireless Network Connection settings, in particular, ensure you note the network name (SSID) and security key. 6) Set the CD-ROM as first bootable drive in the BIOS and reboot the system with the Windows XP installation CD. Remove all external drives! If not, windows may install them as system drives. 7) Before starting the windows installation process, check the available partitions. Ideally, you should create a partition to install windows on (with at least 30 Gb) and a partition for the user data files (any remaining space). If the drive is too small (50 Gb or less), just use one partition. More information about partitioning is available in my ‘dedicated data partition‘ post. In this case the system has only 15 Gb, which means that you should remain with only one partition. 8) Once Windows has been installed, proceed with the custom driver installation. The first to update is the video driver. Then check the Control Panel, System, Hardware, Device Manager: for any device with a (yellow) question mark, you will need to install or update the driver. Use the files from step 4, install from the manufacturer CD (if available) or download from the internet. This step is only successful if no question marks occur in the Device Manager list. You may need to reboot the system after installation of some device drivers. Verification if some services can be disabled (refer to my ‘disable services’ post). Disable ‘Automatically search for network folders and printers’ in the Control Panel, Folder Options, View tab. Process idle tasks in the background (this operation may be periodically repeated). 10) Set the Hard Drive as first bootable drive in the BIOS and reboot the system. Make sure the system is connected to the internet (a wired connection, not Wi-Fi), to allow windows updates to occur. The system may need to be rebooted upon request. In this particular case, only a Wi-Fi adaptor was available. 11) Install all applications (respect the copyrights) and printers. This may be a good opportunity to upgrade the system with the latest version of the applications. Check on the software developer’s site if any new versions are available. In this case, Firefox 3.5.5 was installed instead of Internet Explorer 8. Firefox performed better when I checked the performance of the browser, using the Network Tools on my ADSL page. 12) Create a system ‘restore point’ (Start, Programs, Accessories, System Tools, System Restore). 13) Restore the data from step 1, 2 and 3. Check the user privileges and access rights of the restored data (try to copy a file to an USB key, to check the file access rights). 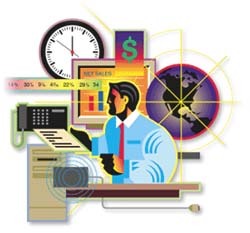 14) Perform the five essential steps in XP Maintenance. Who said the best things in life come for free? They do, check out my favourite FREEWARE list below. The list is built of applications and tools that I am using or I have deployed. While many alternatives may exist, these are the ones that do the job for me. There is no such thing as a free lunch, so you will need to tolerate some advertising or constraints in functionality. If you are willing to ‘pay that price’, you have a good deal. AVIRA is a FREE virus scanner that works well for MacOS. Trend Micro Antivirus is a FREE virus scanner that works well for MacOS. Microsoft Security Essentials is a FREE virus scanner that works well for Windows Vista and 7. AVG Anti-Virus is a FREE virus scanner that works well for Windows XP, Vista and 7 to 10. Spybot Search & Destroy is a FREE spam scanner that works well for Windows XP, Vista and 7. Internet Eraser is a FREE history eraser. FreeFileSync is a FREE backup and file synchronisation tool that works well for MacOS. KeePassX is a FREE password manager that works well for MacOS. Use MiniKeepass for iOS. SyncBack is a FREE backup and file synchronisation tool that works well for Windows XP, Vista and Windows 7 to 10. KeePass is a FREE password manager that works well for Windows XP, Vista and Windows 7 to 10. Dr. Cleaner is a FREE system optimization tool that works well for MacOS. CCleaner is a FREE system optimization tool that works well for Windows XP, Vista and Windows 7 to 10. MyDefrag is a FREE system disk defragmenter and optimizer that works well for Windows XP, Vista and Windows 7 to 10. EASEUS Partition Master is a FREE hard disk partition tool that works well for Windows XP. Dr. Unarchiver is a FREE file compression tool that works well for MacOS. FileZilla is a FREE file transfer client and server that works well for MacOS, Windows XP, Vista and Windows 7 to 10. Cute PDF is a FREE PDF creator that works well for Windows XP, Vista and Windows 7 to 10. ZipGenius is a FREE file compression tool. VLC is a FREE mediaplayer with great video codec support that works well for MacOS, Windows XP, Vista and Windows 7 to 10.
iTunes is a FREE mediaplayer and library tool that works well for MacOS, Windows XP, Vista and Windows 7 to 10. IrfanView is a FREE image viewer that works well for Windows XP, Vista and 7. Foxit Reader is a FREE PDF reader that works well for Windows XP, Vista and 7. Google Chrome is a FREE web browser that works well for Windows XP, Vista and Windows 7 to 10 as well as for MacOS. Safari is a FREE web browser that works well for MacOS, Windows XP, Vista 7 & Windows 10. Mozilla Firefox is a FREE web browser that works well for MacOS, Windows XP, Vista and Windows 7 to 10. Note 1: Internet Explorer and Firefox have different implementation of ‘standards’ which causes unsimilar display results when you design web pages – (check out my posts on Mozilla Firefox). Note 2: Mozilla performs better than Safari when it comes to file downloads and display of some web pages at particular websites. Windows Live Mail is a FREE mail client that works well for Windows XP, Vista and 7. Note: Outlook Express is end-of-life and was my initial prefered mail client – (check out my posts on Outlook Express). Skype is a FREE Internet Phone client and service that works well for MacOS, Windows XP, Vista and Windows 7 to 10. Videora iPod Converter is a FREE video converter for iPod. DVDVideoSoft.com offers a FREE collection of tools to work with DVD, video and audio files. DVD Profiler is a DVD Collection Database Manager that works well for Windows XP, Vista and 7.
calibre is an ebook management tool that works well for MacOS, Windows XP, Vista and Windows 7 to 10. Mixxx is free, open source DJ software that works well for MacOS, Windows XP, Vista and 7. Audacity is a FREE audio recorder and editor that works well for Windows and MacOS. iTunes Sync is a FREE iTunes MP3 Player Integration tool that works well for Windows XP, Vista and 7. TeamViewer is a FREE Remote Assistance Client that works well for Windows XP, Vista and 7 to 10. 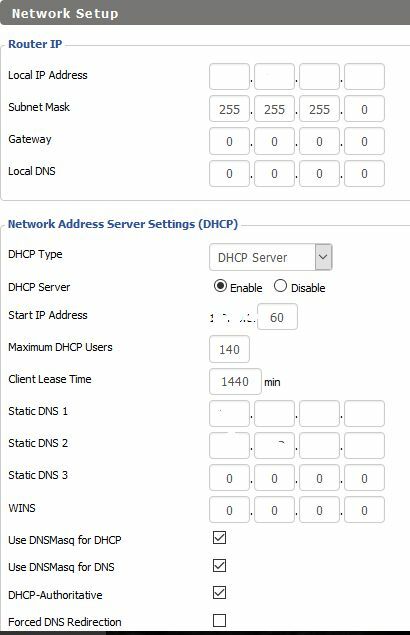 TightVNC and UltraVNC are FREE Remote Assistance Clients. Select in the ‘Advanced’ tab – the ‘Encryption’ tab. Next, select ‘View Certificates‘. 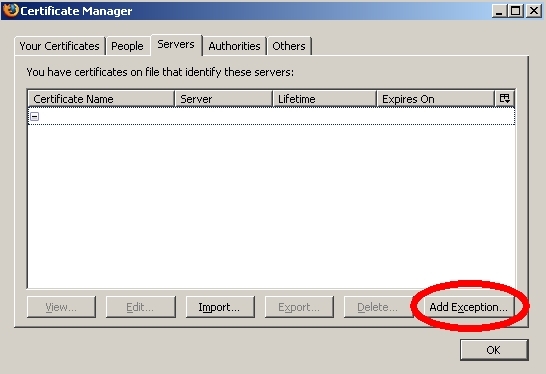 Enter the IP Address of the Wireless Access Point in the ‘Add Security Exception’ window and select the ‘Get Certificate‘ button. 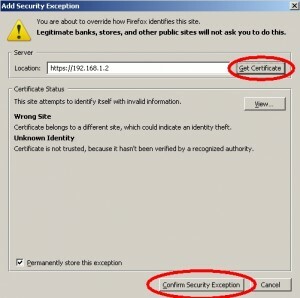 The Certificate Status will be displayed. 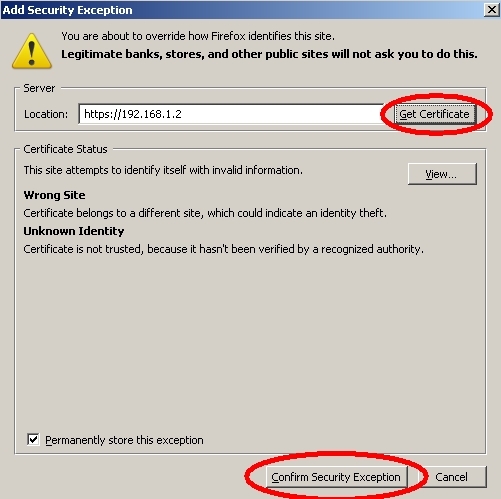 Select ‘Confirm Security Exception‘ and exit the Certificate Manager. You should now be able to logon the Admin interface. Categories: support. Tags: netgear, security, web. 5) the Philips Media Manager (PMM) was eventually replaced by TwonkyManager to support iTunes playlists. Who said the best things in life come for free? They do, check out my favourite FREEWARE list. Other software links are on the SEARCH page. one 32 Mb partition for the Data Storage. File and Print services over TCP/IP have been disabled for security reasons. The IPX/SPX protocols have been installed to communicate with the Desktop PC for File and Print sharing. one 145 Gb partition for the Data Storage. (D:) Data one 55 Gb partition for the Data Storage. (M:) Media one 150 Gb partition for the Multimedia Data Storage (music and video). 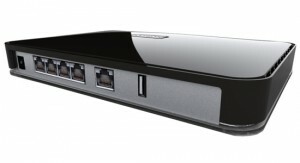 The system runs with Windows XP SP3 and is connected to a flatscreen Sony TV (Bravia). 1. Find a computer with Win XP that uses the keyboard layout you want to use. 3. Once there, browse through the sub-branches looking for the keyboard you want (“Spanish” is in branch “0000040a”). Export that branch to a file in a USB drive. Also, remember the filename from the value “Layout File” (in my case “KBDSP.DLL”). 4. Open the Start Menu and choose the “Run” command, type “%SystemRoot%\system32\” and then press Enter. 5. In that folder look for the .dll file that was in the regedit branch value “Layout File” (in my case “KBDBE.DLL”). Copy that file to the USB drive. 6. Unplug the USB drive from the regular WinXP and plug it to the machine with the WinXP Stripped to the Bone Edition. Copy the .dll to “%SystemRoot%\system32\”, and import the .reg file you created on the 3rd step. 7. 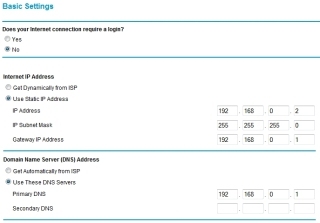 By now you have done all the ‘hacking’, this last step is to activate the installed language: Go to “Regional and Language Options” in the control panel, move to the tab “Language”, click the “Details” button, on that window click “Add” to add the keyboard you want, click ok, select the keyboard in the drop down menu, click ok a couple of times and reboot. That’s all. Microsoft File and Print Sharing has been disabled. File are shared through ftp with the FileZilla Server. This allows any system (including Linux and Vista) to access files on my shared folders. Services optimization has been done based on the list provided by TweakHound’s super tweaks. Display settings have been set for optimal performance.